Wonga has argued that its predicament was, at least in part, the result of a host of legacy claims. 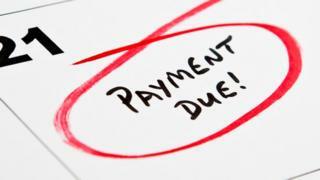 Borrowers have claimed that insufficient checks were carried out by the company to ensure that the loan could be repaid.The majority of these have come through claims management companies.There is now much less of a chance of getting a payout, if a complaint is upheld.Compensation payments will be on the list of payments that could be made if and when Wonga's assets are sold. However, they are not at the front of the queue.As with any administration, secured creditors such as banks are the first to be paid from the funds of any sell-off, before unsecured creditors such as customers owed redress.However, if a complaint has already been upheld and compensation agreed but not yet paid, then these cases are likely to be a priority. Wonga might not be the last payday lender to collapse, and it is certainly not the first.Cash Genie went into liquidation after it was admonished by the City watchdog, the Financial Conduct Authority, for a series of "unfair" fees and interest levies.The regulator ordered the company to pay compensation to more than 92,000 specific customers - a process which is still open if any of those customers have yet to be paid. Edinburgh-based Cheque Centre, which was once the second largest High Street payday lender, agreed to withdraw from the payday loans market in 2014 and went into administration after pressure from regulators. The average age borrower of a high-cost short-term loans is 35, according to research by the FCA. High-cost short-term loans include the classic 30-day loans, but also the longer, and newer, three-month loans. In 2016, payday customers typically had nearly three of these loans, although one in 10 had taken out 12 or more.There are more men (62%) than women who have these debts.Their average income is ?20,400, compared with a national average of ?26,370.The majority (76%) had no savings to fall back on. Of the remainder, the typical amount set aside was ?177. This is particularly a problem as 68% of these consumers were struggling to pay their bills, and they had average debts, excluding mortgages, of ?4,700.